Here we are at the end of March. A landmark promising that the warmer months are indeed on their way. It’s the time of year many of us set about cleaning our homes and tackling those to-do lists we left dormant over the long winter. Thank goodness Daylight Savings Time has given us a little bit more sunshine! 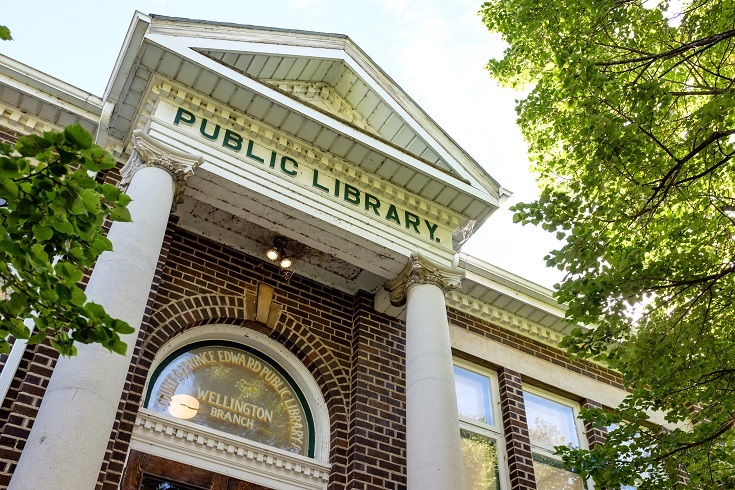 At the Library we have been hard at work getting ready for our spring lineup of events, many of which are fundraisers in support of our upcoming Picton branch expansion (slated to break ground this summer). 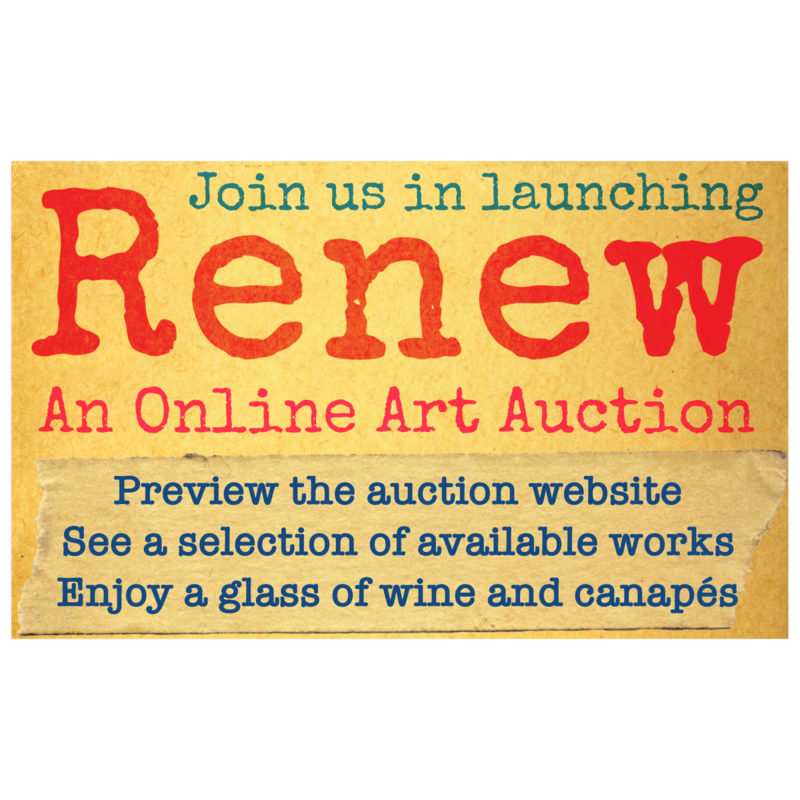 First up is Renew: an Online Art Auction, which will be live from April 1 at midnight to noon on April 30. Since we all know that April weather isn’t always on our side (the cruelest month, after all), it’s a comfort to know that whatever the skies decide to throw at us, we’ll be able to take part in the auction from the comfort of home. Here’s how it works: the auction goes live on www.renewart.ca at midnight on April 1 and closes April 30 at noon, giving you a month to place your best blind bids on your favourite pieces. Because you will be bidding “blind” you won’t know if your bid was the highest, adding to the suspense, and we hope the philanthropy, of the auction. There will be high and low estimates for each piece to guide you in your bidding, and we hope that many of you will be moved to bid close to or even above the “high” estimate. Because of this community’s support we are moving steadily closer to meeting our expansion goal, and in this final push every dollar counts. Although the auction will take place primarily online, for anyone who would like to view a particular piece in person, arrangements can be made. And for those who aren’t particularly tech-savvy, don’t despair. Our staff would be happy to assist you to browse the auction online, and even place a bid, in any of our branches. Over the past few months we’ve been quite hush-hush about the contents of the auction, but you may have started to see some sneak peeks of different pieces that will be available. 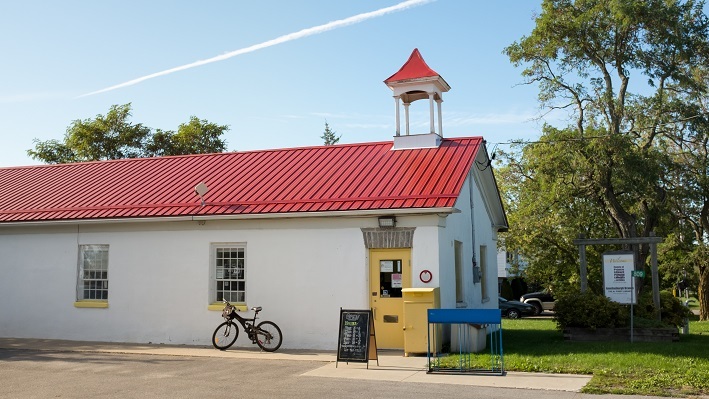 Select pieces have been showcased on social media, and a few pieces are on display at the Drake Devonshire Inn, so make sure to ask the next time you’re there. 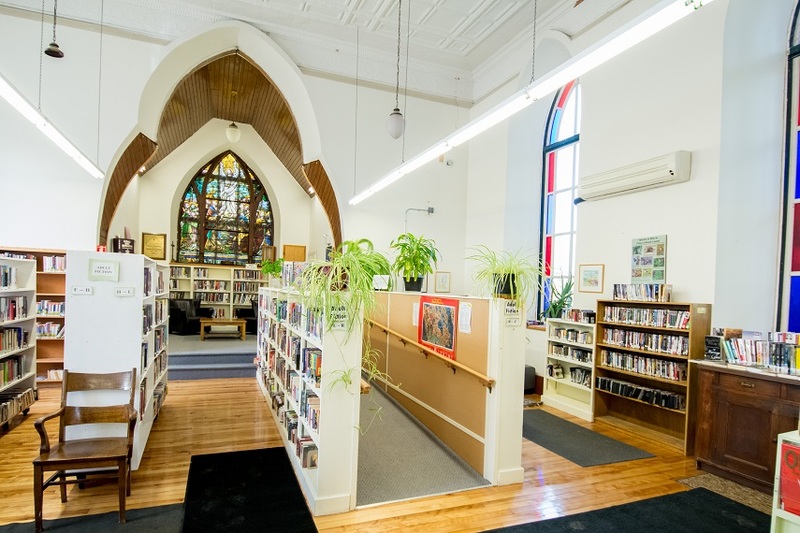 The artists featured in the auction are all contributing a portion of the sales to the Library, with a large number of them donating the entire amount to our expansion efforts. 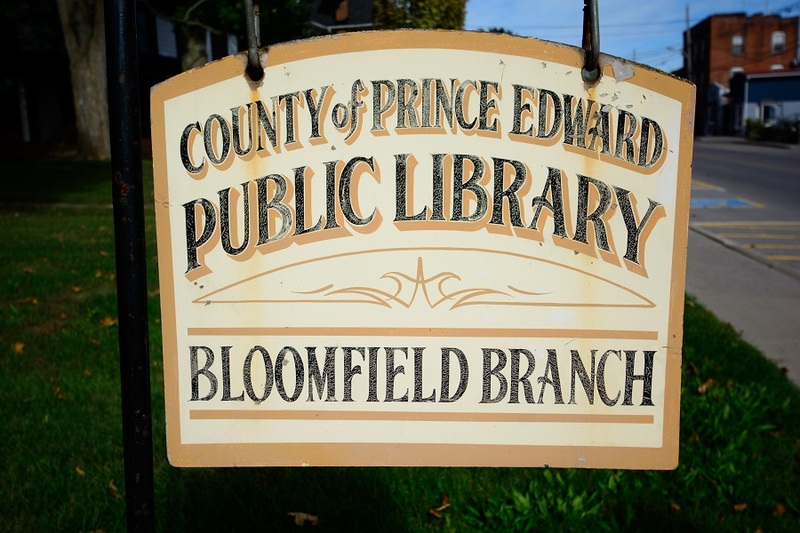 We are grateful for this vibrant community of artists who value the Library so highly. Finally, don’t forget to join us for our gala launch party on March 31. 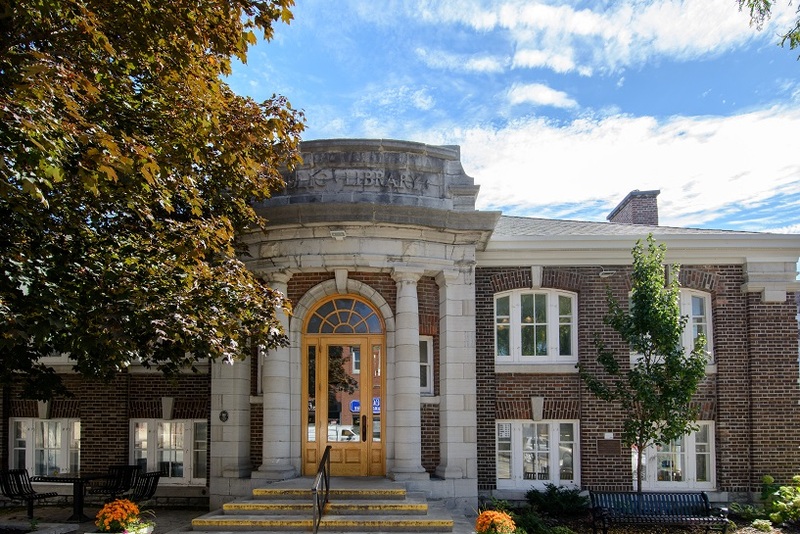 The Drake Devonshire has been generous enough to host us in the pavilion from 6-10 p.m. We will be showcasing a slideshow of featured art from the auction, and toasting to the Library’s expansion campaign. Tickets sales will go towards our fundraising effort, so come out and show your support! The $20 ticket includes a glass of wine and canapes. 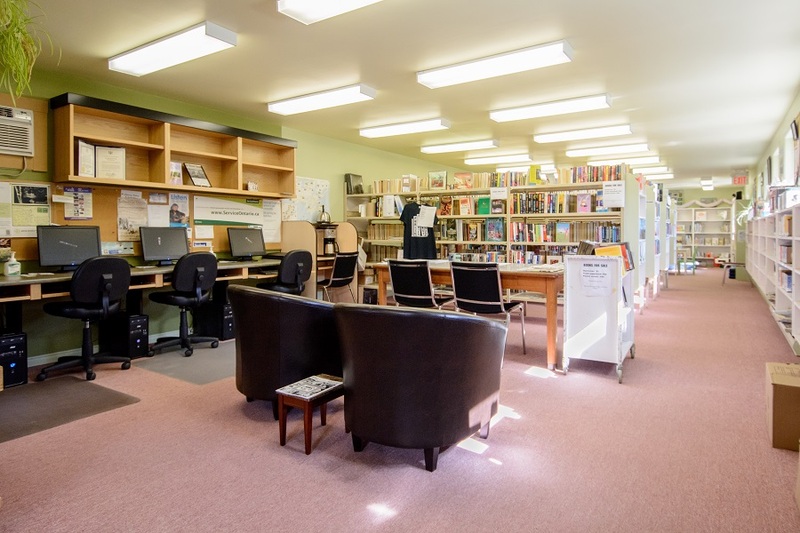 There may just be a few spots left by the time we go to press, so go to peclibrary.org/renew-gala-launch-party/ for your tickets today!